With Harry, it was personal. I do believe that Snape was unable to muster a hatred he needed for his emotions against Harry, Lily's boy; but he needed those for Voldemort, so I think he thought of James, with whom he did have an enmity that was mutual, and I think he used that to fuel his emotions. But that is worse, imo, because Snape had a hand in the death of James. There is no room for hate against someone that you hold some cupability in killing unless they are Voldemort. Did he hate students because he could IMO Not. I don't think he hated anyone, except perhaps James, Sirius and Remus, who hated him right back. If he despised anyone or anything at all, I think it was his choices, his acts which made him choose his path as a Death Eater, and I think he redeemed himself in the most glorious way possible. Even though I don't think he quite ever forgave himself. I am with Snape on that one. I don't forgive him either. I don't think he was shown to portray a man with proper remorse. As a reader, my ability to sympathize with him was only as great as his character's ability to sympathize with others. I also think Harry recognised this, which was why Albus Severus was named so. I absolutely agree that JKR meant for Snape's character to be redeemed - and I think that is supported by the epilogue. But in my opinion, the character needed to do more in the visible storyline to merit that redemption. There were several things in the book that didn't gel - so it wasn't just Snape's redemptive arc, but that was certainly one of them in my view. @The_Green_Woods: I don't think Snape needed to be so nasty to all those people to keep his cover for Voldemort, because he could have explained his not being nasty, or even being nice, by saying he was making himself look good for Dumbledore, who, as far as Voldemort was concerned, he was supposed to be spying on and staying in the good graces of. Yes, he could have but I think it was good he did not. Voldemort was not above punishing innocents to prove a point; he wanted to kill Draco to punish Lucius and Narcissa for their failure of getting the Prophecy; he took away Lucius Malfoy's wand and that was when he was making Malfoy Manor the base of his operations and knowing Lucius Malfoy was one of the richer, influential and smart Death Eaters he had. Voldemort just did not care IMO. If Lucius Malfoy could be treated like that for a single failure, Voldemort could very well ask Snape to use his niceness to prove his loyalty by bringing a few Muggleborns or even Harry secretly to show that Snape was indeed on Voldemort's side. Snape could not refuse or if he did, he would have to stop spying for Dumbledore. Now Snape could safely and truly claim that not one Muggleborn, no blood traitor, no Boy-Who-Lived in their right minds will even think in their dreams of coming with him anywhere. And thus the students were safe. Snape IMO had to plan for every eventuality. Plus when you take the memories Snape had to show with their corresponding emotions, it would have made Snape's task that much more difficult, to have memories with him acting nice, but having emotions of hatred against Muggleborns and Gryffindors and Harry. It would be that much more hard work, when he would already be struggling with 16 years of false memories and emotions. The manner he chose was simpler; there was pretty much one emotion of mild to strong dislike, but the way you say would make him act normal as he would have if he were not a spy, but for every memory he would need to see and apply extreme dislike or hatred and even if he slips one time, Voldemort would get on to him. In such a dangerous game he was playing, where one step could very well mean the difference not just between his life and death, but between Harry's victory and defeat, I think Snape did the best he could and he succeeded admirably. Voldemort thought him loyal until Harry threw his disloyalty on his face in the Great Hall. And JKR said that, as well as having deep love and true bravery, Snape was also spiteful and vindictive and cruel and a bully, especially to Harry, so I think her intent was certainly that while Snape was truly on Dumbledore's side and truly against Voldemort and had these admirable qualities of love and bravery, he also had some not admirable qualities of vindictiveness and bullying and whatnot. Yes, I agree JKR did want to see Snape as this mean, vindictive and small minded individual that struggled all his life to redeem himself and even in the end that redemption was somehow marred by his apparent loathing of Harry. But I do believe that to her shock, Snape simply did not stay the way she wanted him to, to the extent that he along with Harry and Dumbledore became the three arms without which the Potter series would have made little sense. Snape as a character grew beyond what she imagined him to grow and I think he refused to stay within the parameters the author had wanted to give him. While I do agree there are many who do believe JKR's version of Snape, I also feel that whatever JKR may say of her character, her writing has made him a Hero! A man who Harry placed on par with James, Lily and Albus, by naming his children after them. And I think there's no call for a teacher being mean and nasty to their students, since they are in a position of power and need to be the bigger person so as not to become a bully due to the power imbalance, and to set a good example of how to handle conflict without becoming a bully. Absolutely. I agree. For a teacher there's no excuse for being mean and nasty, since they are in a position of power. That would hold good for every teacher in Hogwarts except Snape IMO. For, Snape was not a teacher who was a spy on the side, on the contrary he was a spy, for both sides, who happened to be a teacher in order to spy. For him, I think the rules of a teacher come a far, far second than that of a spy. I don't think Snape had a hand in the Potters deaths. How could he have, when he came well in time before the Potters died to inform Dumbledore about the danger to the Potters? I am with Snape on that one. I don't forgive him either. I don't think he was shown to portray a man with proper remorse. As a reader, my ability to sympathise with him was only as great as his character's ability to sympathise with others. How are we to know he did not sympathise with others? There are many, many ways of showing sympathy and support. Plus, we never see him as a person, we always see him under the guise of a teacher, who was a double agent, but whose loyalties are with Dumbledore and Harry. I would say a difficult role at best. absolutely agree that JKR meant for Snape's character to be redeemed - and I think that is supported by the epilogue. But in my opinion, the character needed to do more in the visible storyline to merit that redemption. There were several things in the book that didn't gel - so it wasn't just Snape's redemptive arc, but that was certainly one of them in my view. Well, I think that could have backfired terribly for Snape, if Voldemort became cross that Snape did such a bad job of getting the other side to trust him that no one from those groups would go with him anywhere. I think if Voldemort had wanted Snape to lure someone to him, and Snape had said he couldn't do it because he was too mistrusted, he'd be in as much trouble as Lucius Malfoy wound up being in. I think Snape is lucky that Dumbledore's trust counted for a lot, or he wouldn't have been able to get away with being so nasty to so many people, and still maintain his "cover" (the trust of the other Order members and allies). And I don't think Voldemort wanted Snape to risk blowing his cover by luring Harry or anyone else, to him, in the first place. Snape's job was to spy on Dumbledore (the only one Voldemort feared) and give Voldemort information, and Voldemort didn't want to risk losing that connection, from what I understand. That's how Snape was able to get away with not killing Harry, himself, for instance, while at Hogwarts, because Voldemort wanted to keep his spy on Dumbledore in the hopes of finding a way to defeat Dumbledore for good and remove that feared obstacle, and Harry could be dealt with using other means, like Voldemort himself (using Legilimency in OotP) or simply be dealt with later after Dumbledore was dead (fortunately Voldemort had decided he must kill Harry himself, by the time that happened), as I see it. And I definitely don't think Voldemort would have had Snape risk his cover for some random Muggle-born or blood traitor, if he wasn't going to have him risk it to bring him Harry. I think if Snape didn't want to be nasty, but faked it, that would cause a lot of stress and guilt, day in and day out, and that would be a major drain on Snape's emotional reserves, IMO. And then Snape would have to hide the stress and guilt from being nasty, so it would be like robbing Peter to pay Paul, IMO. I think it would be better to avoid the guilt and stress of being nasty to people who don't deserve it, on a day to day basis, and reserve that energy for faking his emotions for Voldemort, and for faking being on board the DE train when around Voldemort and the other DE's. Also, since Snape displayed leanings toward pettiness and vindictiveness even before he started spying for Dumbledore, IMO, I think it makes more sense that Snape was just being Snape, when it came to him being nasty to people who ticked him off, in general, or for whom he was holding some kind of grudge, rather than him faking his nastiness entirely, or even rather than him "becoming the mask" (choosing to actually dislike others for the spy gig, in general, rather than fake it). (And it's not like Snape was nasty to everyone who wasn't a Slytherin or on the DE's side, to begin with, and when not aggravated or holding a grudge, Snape seemed neutral to most people and was even friendly to a few, sometimes - for instance, he greeted McGonagall in a friendly manner when she came back from the hospital in OotP, IMO). I think the only point at which Snape would have to fake nastiness, around team Dumbledore, was when he killed Dumbledore and there was no need to maintain the trust of the Order, as far as Voldemort was concerned, since that blew his "cover" and completed the goal Voldemort had for Snape's spy gig (the death of Dumbledore). And I think when Snape was Headmaster for the Voldemort controlled Hogwarts, he did have to allow some things he otherwise wouldn't have, even while seeking to minimize the damage the Carrows did, because the Carrows cranked it up to physical abuse (and likely would have cranked it up to some killing, without Snape, IMO), and Snape seemed only be into meting out emotional abuse, for the most part, from what I could tell. I don't think JKR sees Snape's redemption as being marred in the end, since she said at the very very end he made a kind of peace with Harry. I think she sees Snape's redemption as complete, hence Harry forgiving Snape and singing his praises and naming his kid after him. Just because Snape's road to ultimate redemption took until the very very end, due to his hanging on to so much vindictiveness and pettiness, doesn't mar the redemption, IMO. And Snape's flaws don't negate the progress he did make on the road to redemption and the amount of redemption he had from that progress, before that, IMO. And I think it would mean less for Snape to give Harry his memories, if he'd been faking his hatred of Harry all this time. And I think it would mean less for Snape to have overcome that pettiness and vindictiveness that led to him hating Harry, if he hadn't held on to those qualities as much as he did throughout his life. 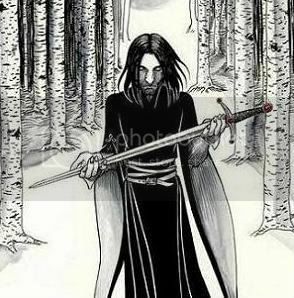 Granted, a part of me wishes that Snape had traveled redemption road more quickly, and had gotten over these flaws to a better extent before the very very end, but I can always take it AU if I want to see that, and I appreciate how interesting canon was for having him be so very morally ambiguous until the very very end, IMO. JKR has said that she knew what Snape was from the beginning and how he would figure into the story (hence her being able to tell Alan Rickman what he needed to know to play the role, even before all the books were out), so I think she knew how important Snape would be to the series and wasn't shocked at that, at all. And JKR has said she sees Snape as a flawed hero or an anti-hero, and I think that's because of how she genuinely defines the concept of hero, not because the character "got away from her" or something. JKR did seem a bit surprised, in the first interview after DH came out, that a fan called Snape a hero, flat out (with no "flawed" or "anti" in front of it), IMO, but I think that's just a matter of JKR having a different definition of hero than that fan and/or a matter of that fan supposing that there was more vindication involved with Snape than matched with JKR's authorial intent. I personally think Snape crossed over to hero status at the very very end, and I think JKR might think that too, maybe, since she seems to see Snape's redemption as complete in the end, from what I gather. I think JKR sees Snape as a flawed hero/anti-hero, until the end, but at the end, might see him as crossing over to hero territory, maybe. I think when JKR talks of Snape, in general, she is talking of the Snape that shows up throughout the bulk of the books, in the Harry era, not the Snape before that (who at one point became a loyal DE) or the Snape at the very very end, who made some peace with Harry and was ultimately redeemed and forgiven. I know that when I talk of Snape, in general, I'm referring to the Snape that was present throughout the bulk of the books, in the Harry era, before the very very end, and so I refer to Snape as being a flawed hero or anti-hero, because that's what he was, IMO, for most of the books. Ah, then it appears that we just disagree on whether Snape needed to be so nasty as a teacher for his spy gig. ETA: Although, I think it's morally ambiguous to engage in that behavior, even if for the spy gig, since there's a question of "when do the ends justify the means? ", and it's iffy, IMO. I think wickedwickedboy is referring to how Snape brought Voldemort the prophecy, to begin with. And I agree with wickedwickedboy, on this point (assuming I'm reading them right). Snape tried to take it back by going to Dumbledore and turning traitor, but James and Lily were killed by Voldemort in spite of that, so Snape winds up being partly responsible for it because he brought the prophecy to Voldemort to begin with and couldn't really undo it, IMO. Hence, Snape wanting to atone to Lily by protecting Harry's life, IMO. Sailorlum is correct about what I meant. Snape told Voldemort about the prophecy and that was what led to the death of humans. I think that ultimately Snape's character suffered from a lack of remorse. I understand JKR's difficulty because Snape's reveal was at the end and he his character had to remain questionable till then. But I think that for his character to successfully portray 'good side', he needed to convey remorse once the reveal occurred. I think this is key in this debate. It seems there are two distinct camps: Snape needed to behave nastily towards Harry et al. in order to convince Voldemort that he had never truly renounced the old ways, or that such an act/facade would be unnecessary to win back Voldemort's trust. I fall in the latter category. I don't see why Snape would feel the need to act (for 16 years) like he hated Harry et al. to convince Voldemort. I don't think Voldemort would have cared whether, after GoF, Snape had been the epitome of a vigilant Death Eater (e.g. Bellatrix) and pureblood-manic (e.g. Lucius), if he showed indifference, or if he was even nice to some people. After Voldemort's fall, Snape had fallen into the complete trust of Dumbledore and integrated into the tolerant wizarding community: surely his intolerance would make him stand out and seem less trustworthy, thus diminishing his usefulness as a spy in Voldemort's eyes? If Snape had tolerated Harry et al., why wouldn't Voldemort just see that as playing along with the expectations of Dumbledore and the wizarding world - a way to blend in, rather than continuously be suspected as a Death Eater, which was the public's condemnation of outspoken Lucius? Voldemort realized that the only reason some of his supporters escaped imprisonment was by denouncing him and integrating into society. Yes, upon return they were punished, but they were welcomed back. Snape would have been punished no matter what, in my opinion, for seemingly denouncing Voldemort in favor of Dumbledore. Being personally cruel and nasty as opposed to indifferent or tolerant would have made little difference, as I see it. I fail to see how trying to win over more trust by appearing to, at the least, tolerate non-Voldemort supporters would have made Snape seem less of a Death Eater spy to Voldemort. Therefore, my conclusion is that Snape's nastiness is just part of his character, rather than a mask. And, I think, it makes for a much more interesting character progression, but one with serious personal flaws that shouldn't be overlooked. Every Death Eater we see is always verbally nasty. I think that is part of their personality as beings associated with the Dark Arts, but I also think it's because they try to throw their opponents off their game; they try to unbalance them and provoke them to unmindful action in order to get an advantage. Snape, through Dumbledore, knew that the Dark Lord would return. From the prophecy, he knew that Harry would have to have to eventually face Voldemort and his Death Eaters. 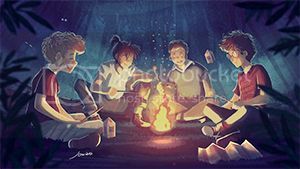 By being nasty to Harry and his friends, Snape gave them the experience they needed to confront Death Eaters without becoming overwrought by their verbal banter. And he was the only teacher able to provide those opportunities. That said, he was very talented at it and I think he enjoyed tauting the students, probably giving himself the excuse that such interactions would help them out down the road. This is an interesting perspective - with two parts, I think. I feel it is important to clarify: with this interpretation, do you see that 'nastiness' as an inherent, basal feature of Snape's character (i.e. 'who he is'), or is it more of a 'learned trait' that he used first as a 'learning tool' but then grew to enjoy it? I think that distinction is crucial in figuring out what is, to me, the basic question: is Snape's personality one of general nastiness towards certain people, or is the nastiness a mask? It is much more about the underlying character than is he good or evil; rather, this question tries to get to the root of his treatment of students (and adults) throughout the series. I think another distinction between my perspective and those like The_Green_Woods and mirrormere is that I can distinguish between Snape: the fundamental character and Snape: the spy. It seems that the opposing view perceives every action we see from Snape's adulthood as inseparable from the demands of being a spy. And I don't discount that much of who Snape became is attributable to his role as a spy; but I do think there are places where we can glimpse who Snape truly is. His treatment of Hogwarts students is one of those instances, in my opinion. While there's nothing in the text to discount mirrormere's view of Snape's nastiness (whether inherent or learned) being actively used as an instructional tool, it's simply not how I perceive the character. I fail to see how Snape introducing the trio and other students to the cruel ways of the Death Eaters had much of an effect on how they dealt with Death Eaters: there are few occasions in which they really had to overcome Death Eater verbal banter. Yes, Bellatrix in the Department of Mysteries, but Harry had face-to-face conversations with Voldemort and plenty of exposure to Lucius. I realize that this is post-hoc analysis, whereas Snape would not have been able to depend on such exposure, under this viewpoint. But I think, ultimately, that exposure to belittling, mockery, and disdain had little to do with the students' success against Voldemort and the Death Eaters. For Snape to adopt a different personality just to teach one student a defense lesson (again, bearing in mind that he did this for ~8 years prior to Harry's arrival) seems impractical. The only way the 'learning tool' argument makes sense for me is if this disdain is his natural personality, which he tried to justify after-the-fact. But, overall, I am left with the impression that Snape's callousness is legitimate and not justified by his role as a spy or teacher. We see snapshots of his cruelty before Hogwarts, and know that he aspired to be among the malevolent followers of Voldemort. Of course, people change, and just as I wouldn't classify James purely upon his Hogwarts years, I wouldn't do the same for Snape - except that Snape repeatedly shows, to me, that nastiness is just a part of who he is - even if he is ultimately "good" or heroic. And, again, I find that this serious flaw is what makes him such a compelling and successful character; explaining away his maliciousness by saying it was all (or mostly) an act is a disservice to the character - or, at least, my interest in the character. Yes, upon return they were punished, but they were welcomed back. Snape would have been punished no matter what, in my opinion, for seemingly denouncing Voldemort in favor of Dumbledore. Being personally cruel and nasty as opposed to indifferent or tolerant would have made little difference, as I see it. Snape's position was not identical to that of someone like Lucius. Unlike Lucius, Snape had a strong and genuine personal motivation for turning on Voldemort upon Voldemort's death, and further, Voldemort knew it. I refer of course, to Voldemort's murder of Snape's beloved, Lily Potter, after Snape had explicitly asked Voldemort to spare her life. This is why Voldemort believed (at the end of GoF) that Snape had left him forever, and he meant to kill Snape. We don't know in detail how Snape got past this hurdle, only that he did. Convincing Voldemort of his hatred of the son of the woman who jilted him, and of the hated rival for her hand, would certainly be one way to address this problem. I agree with you, however, that a major character we see entirely wearing a mask and putting on an act for the bulk of a seven book series, is less interesting than one about whom we learn, for real, a lot that is genuine along with some necessary acting, before the final unveiling of his big secret in "The Prince's Tale". I think he had a genuine distaste for Harry one he met him, which stemmed most likely from a combination of his complicated feelings regarding Harry's parents, and from Harry's undoubted (and from Snape's point of view, unfortunate...) resemblance to his father. He expresses what I take to be his genuine opinions to Dumbledore in the time period of PS/SS (this is a scene in "The Prince's Tale" in which Snape complains of Harry's rulebreaking and other personal qualities, in which Quirrel is also discussed. With Dumbledore, I think we see Snape at his most open, at least until he believes himself to have been deceived by Albus). It is this scene, however, that convinces me that Snape was not acting out of deliberate cruelty. His behavior towards Harry is to me consistent with what I might expect of a strict and demanding teacher who holds the opinions Snape has expressed. I admit I also do not see evidence of deliberate cruelty in "The Prince's Tale", and am not sure to what you are referring, unless to a general inference you make about all characters who at any time became Death Eaters. I feel JKR made it clear that Snape's attitude, speech and behavior matched that of the Death Eaters. Snape's speech to Lily when young, both about her sister and later to her directly in his Worst Memory led me to believe that JKR meant to portray his character as matching that of the death eaters from the start. I do feel JKR wanted to show that Snape's heart changed from death eater to good side somewhere along the line, but as I have already pointed out, I didn't feel that was portrayed particularly well in the books. So I would agree that his behavior toward Harry - and all of the children - was all Snape and there was no acting going on at all. I think rather he was characterized as a character that took enjoyment from the pain and suffering of others and was happy to be able justify it to Dumbledore with his spying gig. I believe JKR did not think this impacted his redemption arc because what was in his heart was all that mattered. Again, I don't think that was portrayed well, but I think it was the idea. Last edited by wickedwickedboy; February 23rd, 2014 at 2:13 am. I've had to delete a lot of posts by various people recently for cheerleading. Just a reminder that you should not post to agree with another member's post if you haven't got anything substantive to add to their point. I have to disagree with your view that "From the prophecy, he (Snape) knew that Harry would have to eventually face Voldemort and his Death Eaters." He simply knew Harry would be in danger again when Voldemort returned because Dumbledore told him that. Snape heard the first part of the prophecy only, not the 2nd part about "being marked and having a power the Dark Lord knows not" nor "neither can live while the other survives". Dumbledore tells Harry that only he and Trelawney heard the prophecy and Trelawney doesn't remember it. Then he lets Harry see the memory of the prophecy. Snape never knows the full story, not even at the end. Snape did know that Voldemort still wanted to kill Harry, and occasionally takes steps to try to protect Harry from being killed, but only because of his wanting to prove that he loved Lily. As far as trying to "prepare" Harry for his eventual final battle with Voldemort, I saw nothing in his behavior that was even close to trying to help, except the incident in HBP when he yells at Harry about needing to "keep your mind closed and your mouth shut", i.e., occlumency. I think everything else in Snape's despicable behavior toward Harry is done for Snape's benefit or satisfaction only. If Snape was trying to help Harry, he need only refrain from being cruel and unfair. All he had to do to show he was on the side of the DE's was to show favoritism toward their kids. He didn't have to verbally abuse an 11-year old in his first class, nor empty Harry's cauldron of a perfectly good potion so it couldn't be submitted, constantly trash James to Harry's face, etc. With regard to Snape's treatment of his students, are we discussing whether or not his treatment of Harry is or isn't a mask, or are we including his treatment of everyone? Because while I tend to believe Snape genuinely expresses very real frustration to Harry, his supposed favoritism toward the Slytherins strikes me as a far more ambiguous question. I don't believe the text is ever explicit on this point, but I have a lot more trouble seeing Snape genuinely liking students like Crabbe and Goyle, who, mind, do have a clear DE connection through their parents. That said, I do think Snape's role as Harry's protector (as opposed to spy) is closely related to many of the interactions between them, especially those involving Harry getting into trouble for dangerous stunts. Also, I'm inclined to see nastiness in any character-- with maybe Voldy as the exception-- as learned. I can't imagine Snape-the-infant going "Fifty points from Gryffindor!" I think this is especially true in Snape's case because we see quite a lot of his backstory, full of anger, loss, deceit, and abuse. These are not things conducive to a cheery or particularly nurturing personality. He's just as nasty to students like Neville as well. But in Neville's case, there is some sense to it: In Snape's mind, Neville is a constant reminder that Voldemort could've gone after the Longbottoms instead of the Potters and if he'd done so then Lily would still be alive. Interesting thought; but in my view it would just be another case of Snape projecting blame away from himself and toward an innocent kid. Snape never really thought about the consequences of passing the information along to Voldemort -- and I think it's debatable whether he gave it even a passing thought before acting. Well, Snape shifting blame from himself and onto others doesn't seem like that much of a stretch for his character IMO. That's possible, but let's not forget Neville's the kid who melted his cauldron in his very first class. Neville appears to be the kind of potions student who needs understanding and personal attention from the teacher and we just know he's unlikely to get that from Snape. Neville being the almost-Chosen One is a possible reason for Snape's behavior toward him, but it's also a reason that is never touched upon in the text. Snape complains a lot about Neville's incompetence in class, but I don't believe there is anything really pointing to the prophecy explanation except the circumstances themselves. Silence doesn't discount the possibility (if it did, Snape's silence on Lily would have "proven" he didn't love her in our pre-DH debates ), but it does make me more inclined to believe Snape just has absolutely no patience...which is also not much of a stretch for his character. To my thinking Snapes mistreatment of Neville has more to do with Neville being from Gryffindor house than anything else . I feel that after the way Snape was himself mistreated by students from Gryffindor house ,that he would alway do whatever he could to give Gryffindor students a hard time. The fact that Neville could have been the chosen one, just makes us think he is singling Neville out more than others. I feel that if you look at it from a different angle, his treatment of Neville although mean and abusive, helps Neville to grow up and become the tough leader he was at the end of book 7. In his own way he was the damaged man who helps the next gen. damaged kid become a man. I don't see Snape's mistreatment of Neville in any way contributing to Neville's positive development. Snape belittled rather than helped or encouraged Neville which only served to make Neville more nervous and insecure. Neville's develoipment is more down to his friends and the support he found there. Neville's grandmother comments on how much help and kindness Neville got from Hermione for example. Snape gets no credit there in my book. That Neville's biggest fear in Book 3 was Snape, instead of something like seeing Bellatrix torture his parents, says a lot.